You know that employee engagement is important, but do you know how your corporate culture affects engagement? Your company’s culture has a direct influence on how engaged your employees are, and if your culture suffers, so does engagement levels. According to Gallup research, your employees will be most engaged when they are treated as stakeholders and see themselves in the driver seat of their futures within the company. Employees also want to feel that they play a crucial role in the advancement of the organization, and they want to see how their efforts play into the organization as a whole. So in order to benefit from higher employee engagement levels, leaders need to first focus on improving their corporate cultures in order to reap the rewards of creating a workplace culture of engaged employees. The following team building tips and strategies can help you to create a culture of employee engagement and success. You can’t change your company’s culture if you don’t know where your employees stand. That’s why pulse surveys (surveys that quickly elicit employee feedback) are so valuable. These types of surveys are valuable for leaders, as well as for employees, because not only do they identify the current skill sets and knowledge bases of employees, but they can also be the ideal outlet for employees to provide feedback and express any concerns. According to Gallup research, the majority of workers polled do not believe that they are receiving effective feedback, with only 27 percent believing that the feedback they receive helps them perform their jobs more effectively. That’s why surveys like the Strategic 360 Group Behavior Assessments provided through the TIGERS Success Series are so pertinent for success. By investing in a reliable survey, you will be provided with the intelligence you need to build and improve your teams and work environments. The research-based surveys focus on the areas of trust, interdependence, genuineness, empathy, risk and success and identify key areas that require assistance, as well as strategies to improve and additional follow-up surveys to track progress. It’s difficult to keep all of your team members on the same page when your company or team doesn’t have a clear understanding of where it’s headed. So to be successful, you need to clearly identify your team’s purpose and set clear expectations for reaching goals. Ideallly, the team’s purpose needs to be something that the team members feel passionate about and are willing to rally behind. When team members feel connected to the company in a bigger way, they are more engaged and productive, and their work is of higher quality. Every goal that your team members work toward should be aligned with the company’s greater purpose, and as team members achieve milestones to reach their goals, they will be reminded of the bigger plan that they are striving to achieve. According to This CEO Has The Best Data On What Makes A Great Workplace, trust is the key factor necessary for a winning culture, which comes as no surprise to the TIGERS Success Series. 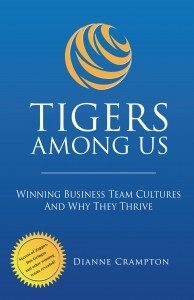 As the “T” in TIGERS, trust is one of the six principles that is required for team members to be cooperative and engaged in the workplace. When trust is lacking, organizations typically experience lower employee satisfaction rates, higher turnover rates, reduced productivity and a lack of loyalty, among several other negative organizational outcomes. If trust is lacking in the workplace, leaders should consider receiving additional training to successfully learn strategies to improve the culture of trust. The 6 Principles That Build High Performance Teams Self-Study Leadership Program offers on-demand leadership training so that leaders can learn during a time that is most convenient for them. Leaders receive beneficial training on applying the six common-sense principles to improve employee relationships and workforce behavior that helps them achieve their goals. A winning company culture goes a long way in employee engagement levels, and if leaders want to get the most from their employees, they need to focus on the corporate culture first. And the best place to look is how employees see themselves within the company. If they feel like captains of their own ship, they will be more likely to stick with and work hard for your organization. To build this type of culture, leaders can invest in the following team building tips: invest in surveys to determine where your team members currently stand and decide how to implement actionable strategies so they can improve; identify your company’s or your team’s purpose so that team members have something bigger to rally behind; and build trust among team members and leaders to keep everyone satisfied with their jobs, and willing to speak up when they’re not. With these team building tips, leaders can create a winning company culture and improve employee engagement levels. Want to dig deeper into this conversations? TIGERS® Success Series provides a comprehensive and robust system for improving both your work environment and profitability. 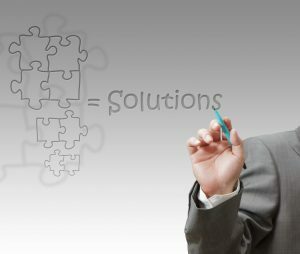 We specialize in workplace enrichment and employee re-invigoration management facilitation methods that builds workforce cooperation and high performance team dynamics. Scaled to grow as your organization and leadership performance grows, our proprietary Team Behavior Profile and leadership training workshops are based on the six principles we have found to be the right mix to make this happen. The six principles are Trust, Interdependence, Genuineness, Empathy, Risk and Success. Born from our many years of business, psychology, and educational group dynamic research, and subsequent four years of independent evaluation, we instill and sustain behaviors that improve work group performance and talent retention for measurable ROI. Since 1987, TIGERS has served committed leaders who desire enhanced cooperation among departments, teams, managers and individual employees. This heightened level of cooperation leads to improved revenue, purpose, commitment and impact. Employees quit companies because they don’t get along with leaders and co-workers. Work culture refinement and behaviors that build strong relationships erase this trend remarkably fast. For more information call 1+541-385-7465 or visit http://www.corevalues.com .